Chicana/Latina women were an integral part of the activities collectively recognized as the Chicano Movimiento, most active and visible from 1964 to 1975. By the early 1980s their contributions were barely acknowledged. Sensing this collective loss of voice, feeling highly isolated, eager to extend their knowledge to other women, and desiring to change society’s perceptions, a group of Chicana/Latina academic women gathered at the University of California, Davis, in spring 1982. Mujeres Activas En Letras Y Cambio Social (MALCS) was established at this first meeting. The MALCS declaration, written one year later at the Berkeley campus, formally established the organization and affirmed the membership’s dedication to the unification of their academic life with their community activism. MALCS hosts a summer research institute (established in 1986), publishes a newsletter and Trabajos Monograficos (a working paper series changed in 1991 to the Series in Chicana Studies). The series is in its second volume and soon to become the Journal of Chicana/Latina Studies. MALCS members also helped establish a permanent research center at the University of California, Davis, in March 1991, to develop Chicanas/Latinas as scholars. It was to be a center for knowledge by, for, and about Chicanas/Latinas. 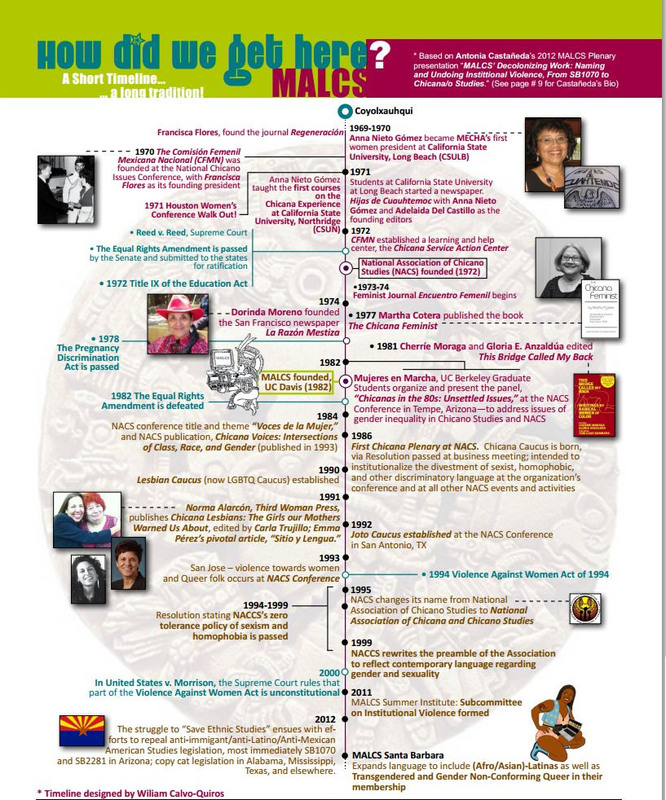 MALCS is an academic organization that articulates Chicana/Latina feminist perspectives. Above graphic based on Antonia Castaneda’s 2012 MALCS Plenary presentation “MALCS’ Decolonizing Work: Naming and Undoing Institutional Violence, From SB1070 to Chicana/o Studies,” UC Santa Barbara, July 20, 2012. Reprinted from News from Nepantla, UCSB Chicano Studies Newsletter, Fall 2011, No. 5. Thank you to Aida Hurtado, Jessica Lopez Lyman, andWilliam Calvo-Quiros. The MALCS Papers are housed at the UCLA Chicano Studies Research Center. According to the librarian, they are one of the most frequently requested materials. Archival papers and material normally do not circulate; they are only used in the library at the CSRC. Check the UCLA CSRC Library website for a container list (LMU students helped to process the papers several years ago). 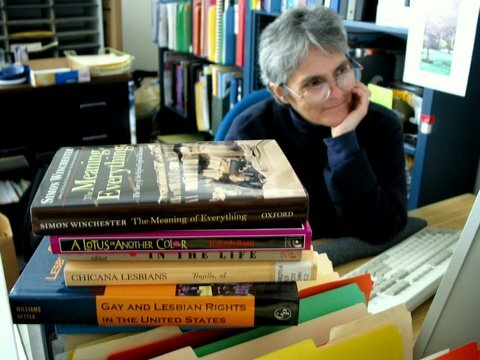 Late scholar/activist Yolanda Retter Vargas was instrumental in facilitating the transfer of the MALCS collection to UCLA before her untimely death in 2007. We remember Yolanda with love and respect. *D. Letticia Galindo – elected for 98-99. Deceased: October 17, 1998.